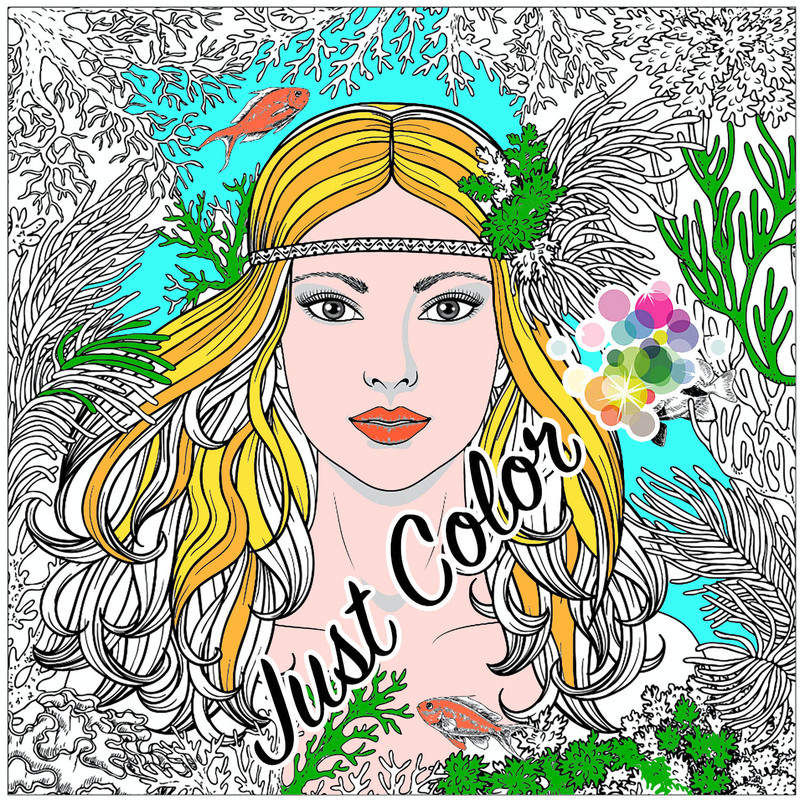 JustColor.net artists are never bored of offering you new exclusives coloring pages. What we like even more is the diversity of our original creations. We appreciate an artistic creation especially when it asked us a lot of time of realization, just as we prefer a beautiful bouquet of flowers prepared and composed by ourselves rather than a simple bouquet bought at the florist. 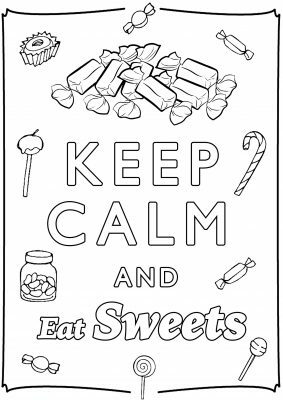 As a result, spending much time to color a coloring page will give us a lot of satisfaction because it will have asked us more details, more perseverance and more reflection in the choice of the colors. 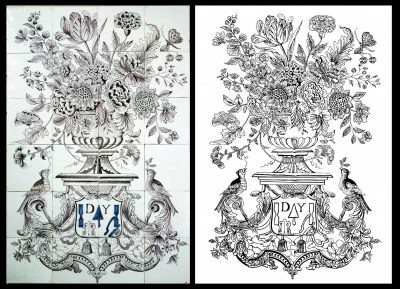 To give you a good and long coloring moment, our team reproduced a wall tile full of small details, from the 18th century. Left: A wall tile representing a flower vase and birds dating from 1740 (Netherlands). 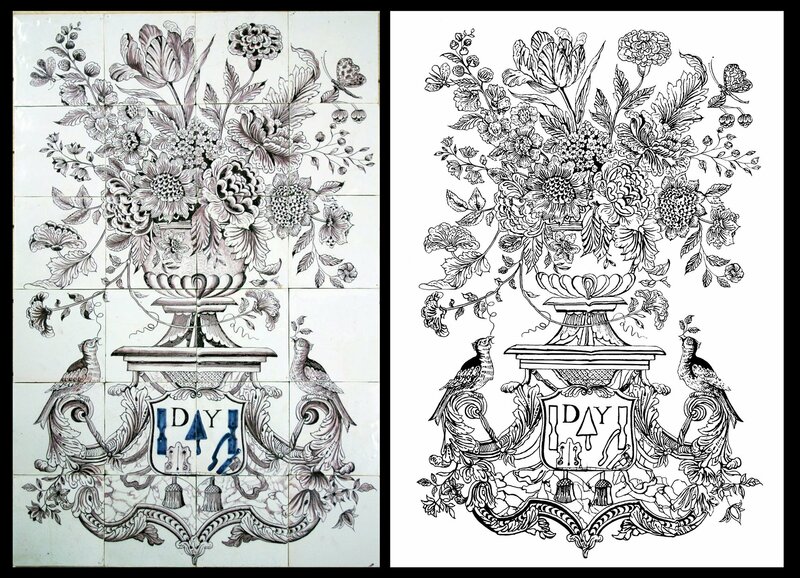 Don’t hesitate to color this exclusive creation, and to send us the result with the feature ” Your creations“. You can find other coloring pages of that kind in the galleries Art or “Flowers and vegetation. 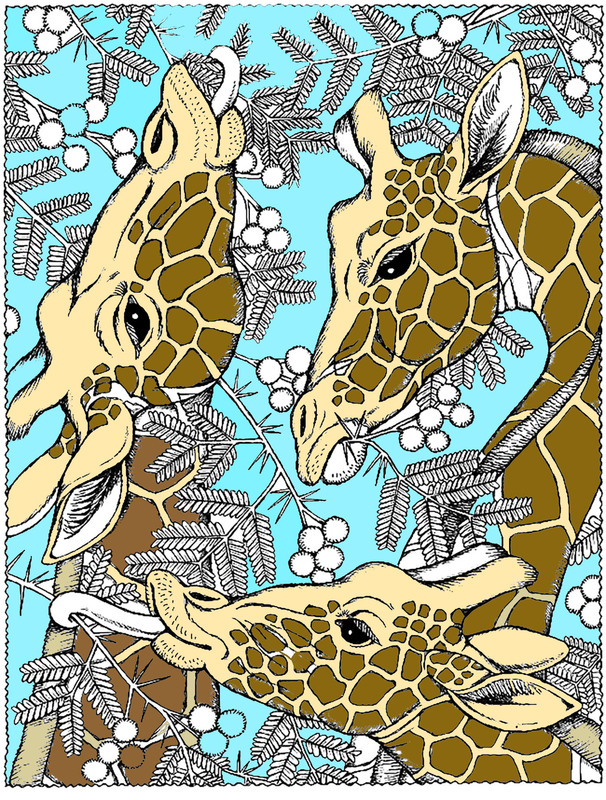 JustColor.net features new exclusive coloring pages of animals distributed among various galleries ! The “Animals” gallery has been reorganized to make it easier for you to find contents. No need to browse dozens of pages looking for the coloring page of the animal you want. 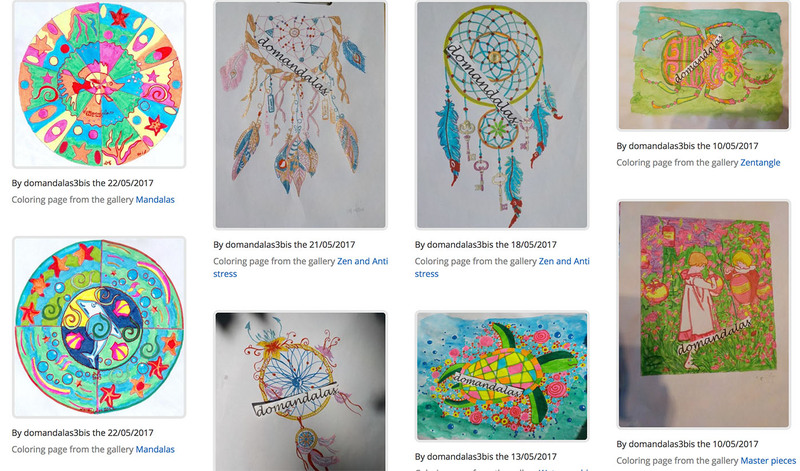 Since February, the gallery of animals previously containing around fifty coloring pages, has been divided into thirty sub categories arranged in alphabetical order. Each sub categories represents an animal. Did you know our gallery “Myths and Legends”? Art, Coloring pages and us …. You will have noticed, on www.justcolor.net, we like to propose you complex coloring pages different than others ! Especially coloring pages that make you travel in space and time, making you discover styles or artists you did not know. 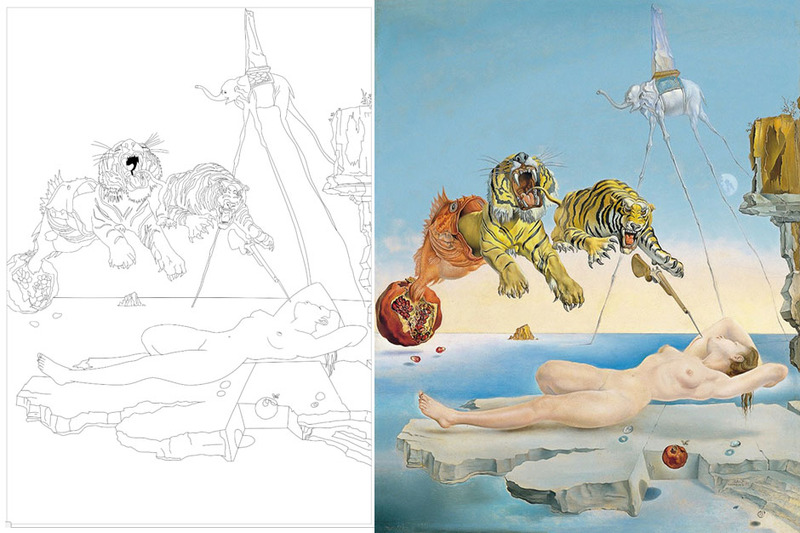 What better way to have a better appreciation of the genius of an artist color his masterpieces ? 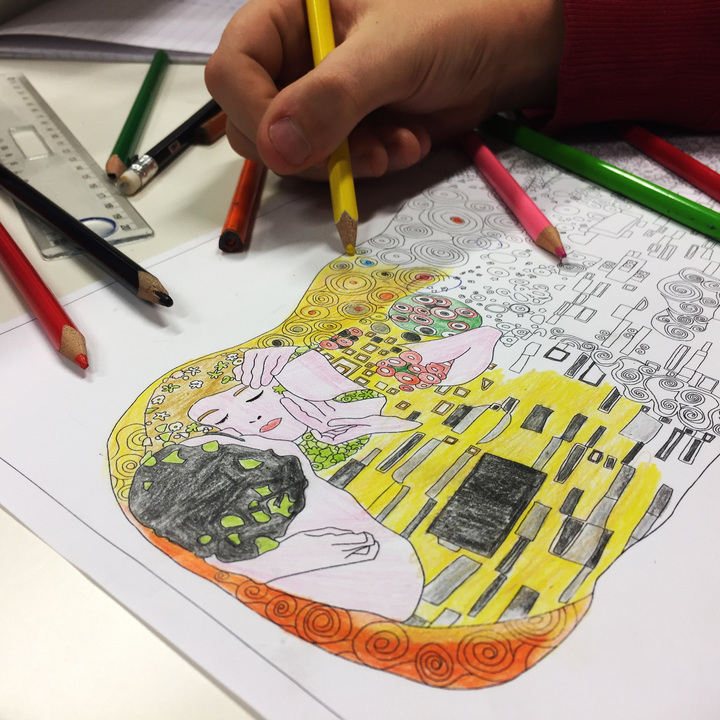 Our partner artists work continuously to create new coloring pages inspired by works by Dali, Picasso, Monet … and other artists. 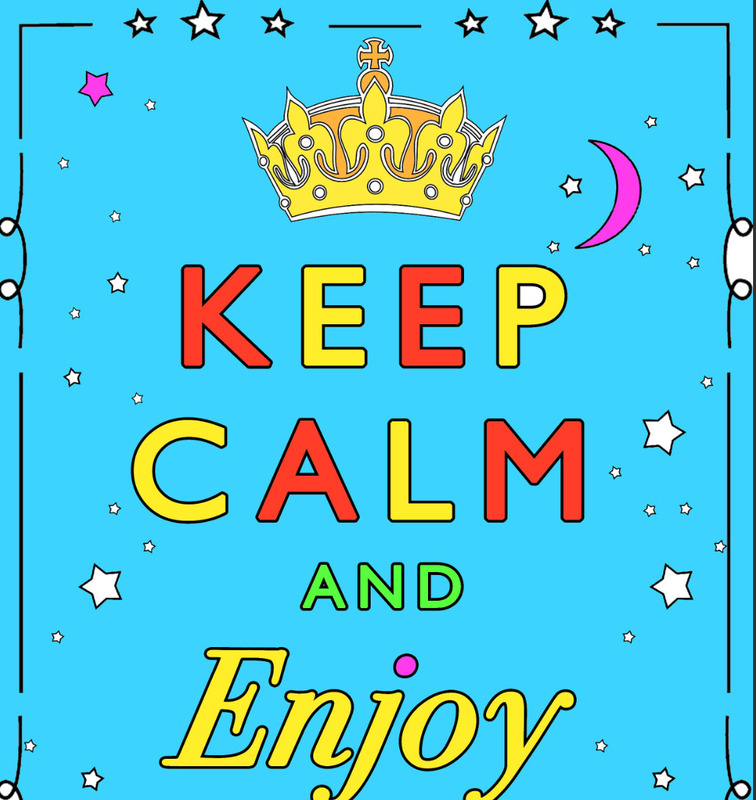 Read moreArt, Coloring pages and us …. Do you know Dr. Who and his unique universe ? 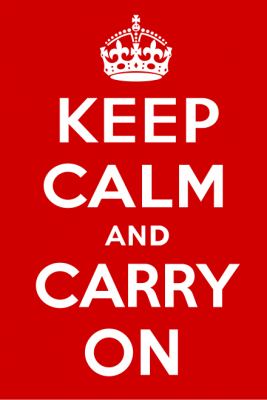 It’s one of the oldest TV series still broadcasted, indeed it has been produced by the BBC since 1963. 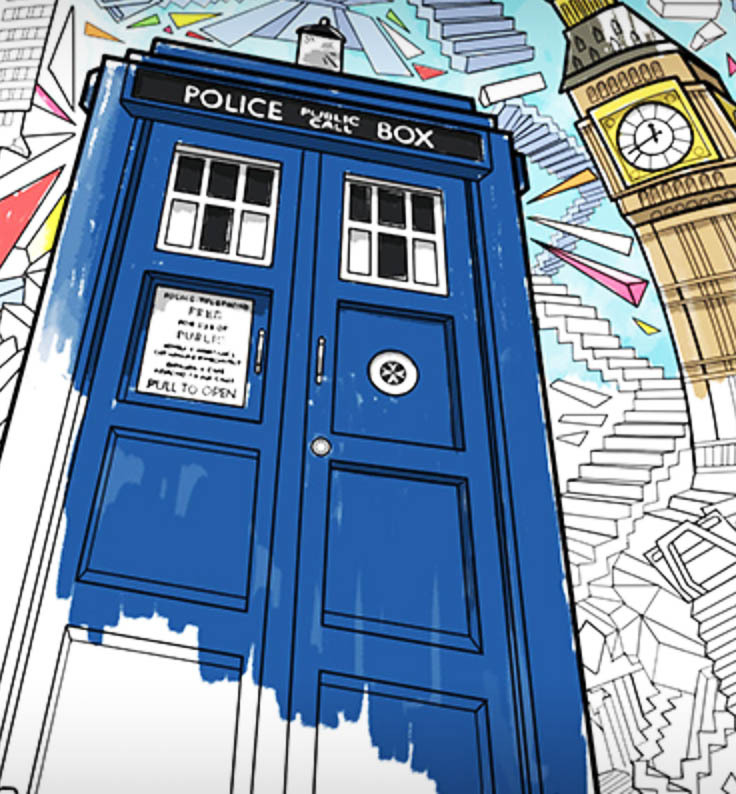 Here are 11 coloring pages inspired by this famous British TV Series, offered by Fun.com ! Twelve actors have headlined the series as the Doctor, you will see some of them oh these original drawings. New Classic Horror Movie Coloring pages ! There are many adults who love horror movies and many adults who love coloring. These two groups can come together just in time for Halloween with this collection of scary movie coloring pages from Costume SuperCenter. 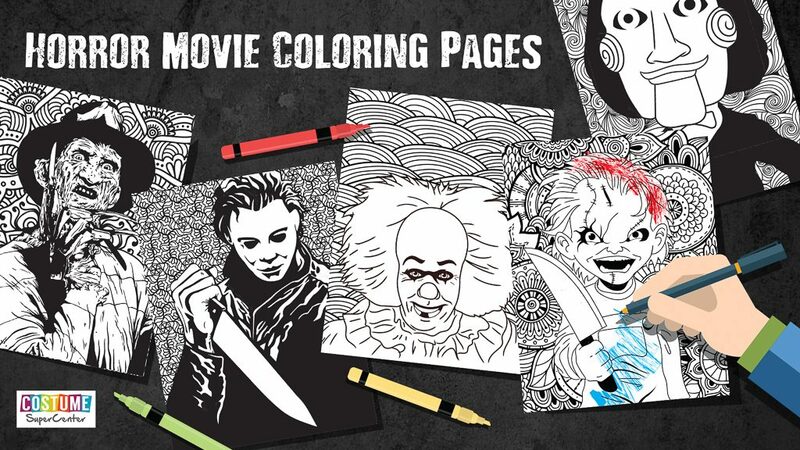 They created incredible drawings to color with your favorites movie serial killers, including Freddy, Jason, Pennywise, Billy The Puppet and Chucky. What better way to enjoy the spooky holiday season than to color in a Freddy Krueger coloring page while wearing a Freddy Krueger costume? 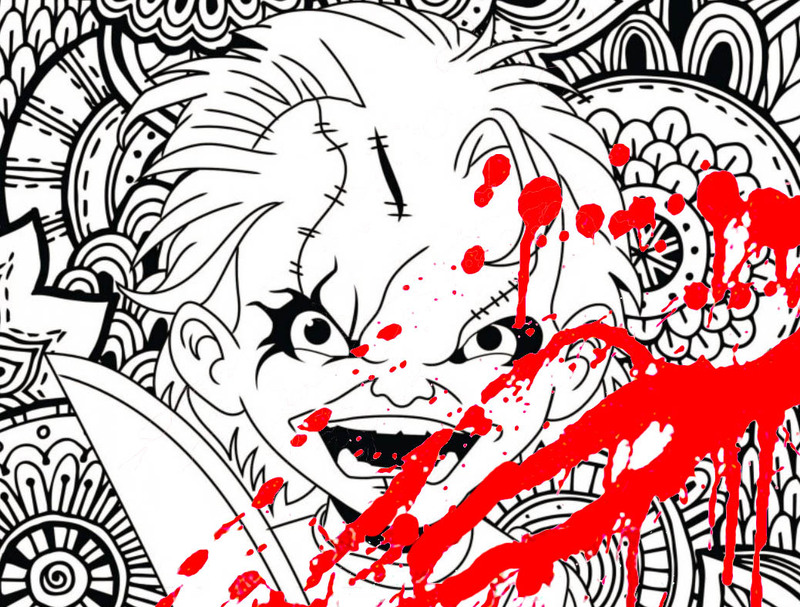 These horror movie coloring pages are a real scream ! Discover these exclusive creations in the “Halloween Coloring pages gallery” ! Are you ready to color these scary coloring pages ?? Domandala is one of our most active users. She sent us a lot of creations, that you can see here. A good opportunity to color, for child or adults. 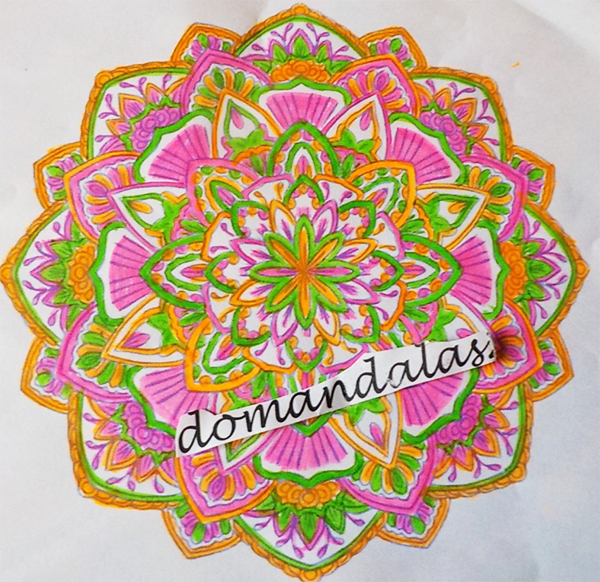 Discover these original creations in her artist page or in the section “Mandalas” ! 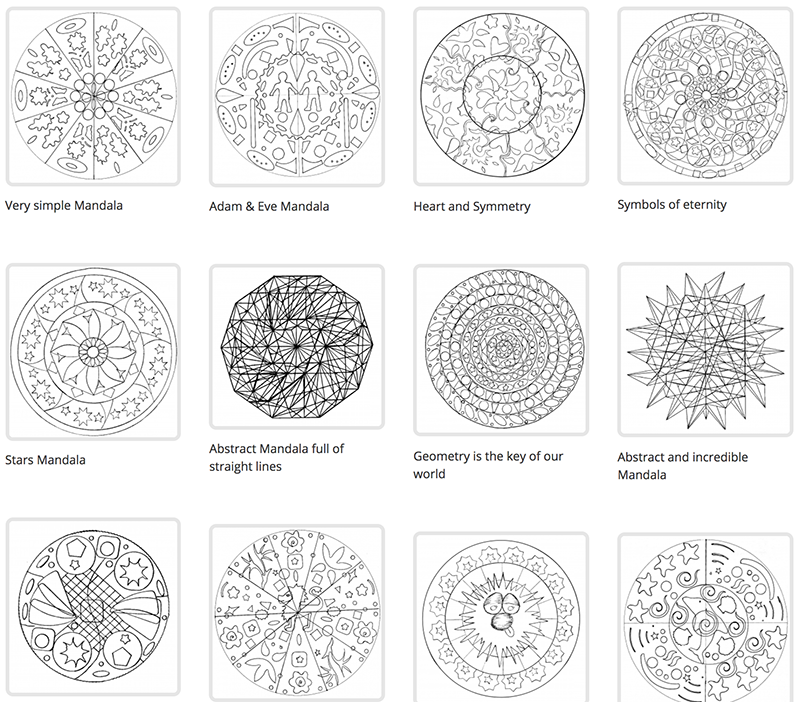 New Mandalas added just for you ! Discover our Christmas Advent Calendar ! 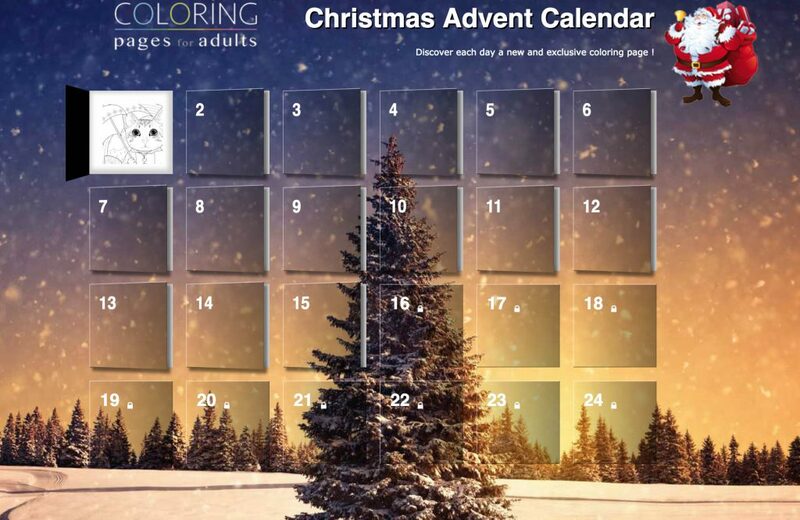 A virtual advent calendar, which will unveil you every day a 100% original coloring page ! Klimt has joined our gallery ! The famous Klimt’s painting called “The kiss” is now available in our Art gallery! Klimt was influenced by different artistic movements along his career and became a world-famous artist. 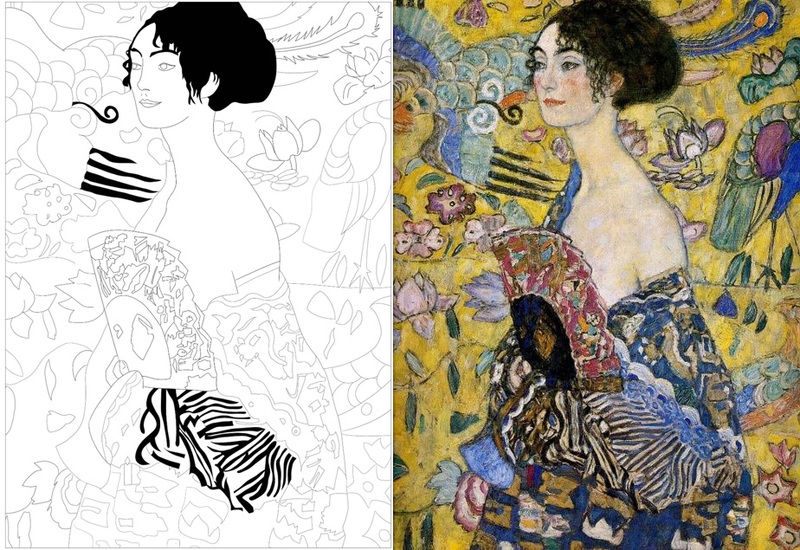 Read moreKlimt has joined our gallery !